With the first week of fall over and temperatures remaining below 75 degrees, it’s time to be honest. Summer 2018 is officially behind us. It’s time to start preparing for the change in season. Winter is on its way and that means freezing temps, wind, snow, ice and heavy coats. As responsible homeowners on a budget, it’s time we start prepping our homes, so we can stay warm and save money this winter. Here are a few steps to help you prepare. Weather stripping is a great way to keep warm air in, cold air out, and our electricity bills down. Head to any hardware store or anywhere that sells home supplies and you’ll find a reasonably priced weather stripping kit. It’s also a great time to check for possible air leaks. I’ll never forget the sounds of falling trees during the 2009 ice storm. I think about this sound every time I consider preparing my home for winter. The ice was so heavy on the trees that branches would eventually just fall in the middle of the night. You never knew what that branch would land on. Make sure you prune any partially dead trees so they are less likely to land on your home in a serious winter storm. Freezing pipes can cost thousands in home damage, upwards of $5,000. You can spend less than $100 on pipes in an older home to prevent this from happening to yours. There is plenty of information about freezing pipes here. Give your home a full once over to check for any cracks or holes near your pipes that could let in additional cold air. You can purchase pipe insulation as well and cover any pipes that will be exposed to harsh weather. Remember how much I love caulk? Now is a great time to open a fresh tube if you have openings around your pipes that will let in cold air. When it comes to winter storms, the key is preparation. Buy an extra case of water to keep on hand and some non-perishable foods as well. During the last winter storm, some families were stuck in their homes without electricity for up to two weeks. Clip the coupons and add one necessary item to your grocery list each month. Also, don’t forget a battery powered radio. As fall nears an end, set aside time to clear your gutters. Cleaning out your gutters will do wonders for preventing and avoiding damages. Gutters take water away from your house, if water has nowhere to go in the winter months, it can freeze. Frozen water on your roof and in your gutters can cause significant damage – your gutters are meant to move water, not hold it! While you’re clearing your gutters, take a moment to inspect the roof. Take all necessary safety precautions when looking at your roof. Make sure there isn’t any damage from the summer storms and vents are clear of debris. If anything looks to be potentially damaged, contact a professional. This is not a DIY project that you can risk a “Pinterest Fail” on. Attic insulation is key to making sure you can keep heat in your home. If something doesn’t seem right, such as light fixtures, chimney exits, ventilation openings, contact a professional right away. Also, confirm your attic has a ventilation system. This can be key to keeping you and your family safe as well as warm during the winter months. That’s just a quick list of things you can do, if you find anything that doesn’t look quite right, it’s best to inspect it further. Don’t put off preparing your home for winter. Waiting until the last minute can be costly, stressful, and it can put you in a bind when you’re most vulnerable. Let us know your favorite home preparation habits. We’d love to hear them! 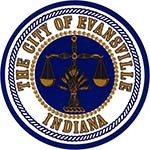 Older PostWhat Does Home Ownership Look Like In Evansville? HOPE is not related to H.O.P.E., Hope To Own, or Lexington Law Firm. These companies are for-profit entities seeking to obtain as much money from consumers as possible while offering services which consumers can accomplish on their own.